Like synthetic dyes, natural dyes contain chemicals. Animals and plants are made up of chemicals. Handle all chemicals with care as some may be poisonous or irritant. Protect yourself by using spectacles, gloves, apron and a face mask when handling chemicals and dyes. Avoid skin contact and accidental ingestion or inhalation. Work in a well ventilated room, away from food preparation areas, children and pets. Store all chemicals and dyes safely in clearly labelled containers and out of reach of children and pets. Do not eat, drink or smoke when dyeing or mordanting. Never use containers or saucepans used for food preparation for dyeing and mordanting. Seek medical advice if chemicals come in contact with the eyes or are ingested. Use appropriate gloves when handling hot saucepans. Large saucepans full of liquid are heavy and it is safer to let the liquid cool down before handling them. so protect your hands by wearing rubber gloves, and wearing old clothes and an apron. Also cover the working area well. 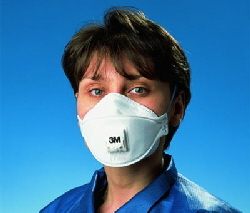 You can buy a 3M face mask for protection when handling fine dye, dye extract and mordant dusts here.